After briefly announcing FarmVille 2: Country Escape in an update to fans on its official blog, Zynga has released additional details about the game. While this game is a brand new mobile experience, it will also connect back to the original FarmVille 2 Facebook game (our review), while also providing its own unique setting, quests, characters and more. 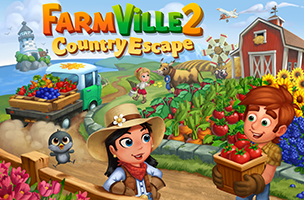 Players in FarmVille 2: Country Escape are taken to a new coastal setting, where they’re given the task of restoring the family farm. Since the farm is near the coast, players will have access to free water, and can send some of that water back to their Facebook farm via the game’s “Connected Rewards” feature. This Connected Rewards setup will allow users to transfer “valuable goods” between farms, but water was the only particular example given. Fans of FarmVille 2 on Facebook have nothing to fear, as the browser game will not change. Instead, this release of FarmVille 2: Country Escape will expand the franchise, introducing free farming to users on iOS and Android devices, which can be accessed anytime, even without an internet connection. FarmVille 2: Country Escape will begin rolling out in test markets in the coming weeks, and is expected to launch in full by the end of Q2 2014. Check back soon for more on FarmVille 2: Country Escape, and to follow the original FarmVille 2 on AppData, our tracking platform for mobile and social apps and developers.